A curious Reddit user, AerobicPie73630, inspected BungieHelp02 – an account we can assume is used by Bungie employees. The gear that employee was wearing hints at Vault of Glass armor possibly getting a Light increase among other things! As you can see in the video, he’s got 300/365 Attack Legendary weapons. 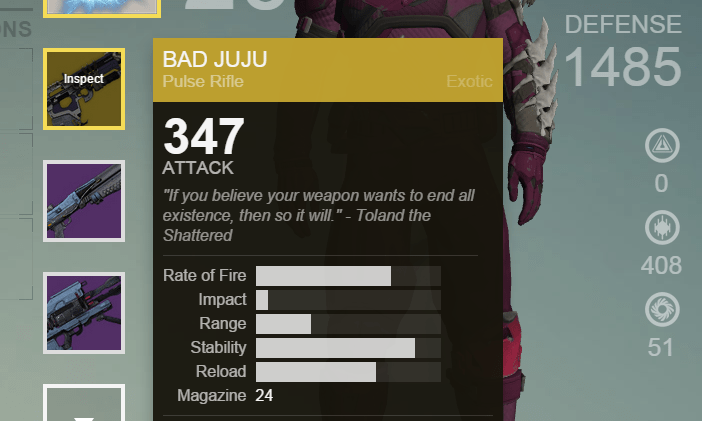 His Exotics have 323/347 Attack. Exotic armor and non-raid armor has 30/39 Light. 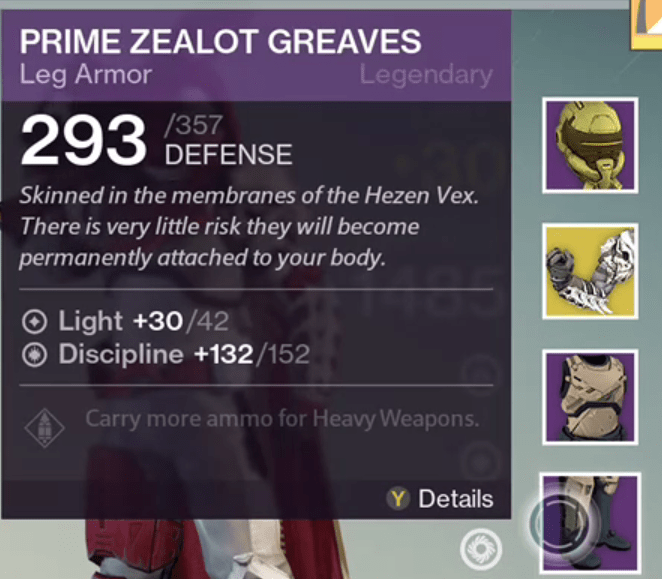 VoG armor has 30/42 Light. Oddly the 300/365 weapons he’s using are from the original Vanguard Quartermaster inventory. Does this mean old weapons will be buffed? I’d guess not, and that he’s just testing the House of Wolves Attack values. What’s really interesting is the Light levels for the VoG armor. Bungie could just be testing these Light levels for House of Wolves raid armor, but… hopefully that’s not the case. If Bungie does go this route, this would put the Vault of Glass armor back on the playing field in a very big way. DeeJ previously said that the Vault of Glass gear is “frozen in time“ but that he would “beg for future solutions.” Perhaps the simple Light increase was the solution? This employee could simply be testing the House of Wolves values. It’s clear that the House of Wolves will have an increased Attack/Defense/Light, and so the values we see on the gear he’s wearing is probably representative of House of Wolves gear. Since the House of Wolves gear isn’t ready to be unveiled yet, it makes sense for Bungie to test the House of Wolves Attack/Defense/Light on non-HoW gear. It’s possible that none of the pre-DLC gear (including VoG armor) is changing at all. Disclaimer: Of course it’s not 100% confirmed whether or not these values represent what will be available once the House of Wolves is released in Q2; it’s all speculation at this point. Finally, you’ll notice that the Bungie account has the mysterious Trials of Osiris Sparrow SV7 “Lightbearer” equipped. It gives us some indication that the event is coming, but exactly when is uncertain. There’s a few promo images with the ToS gear in full sight, so we can only hope it’ll be before the House of Wolves.